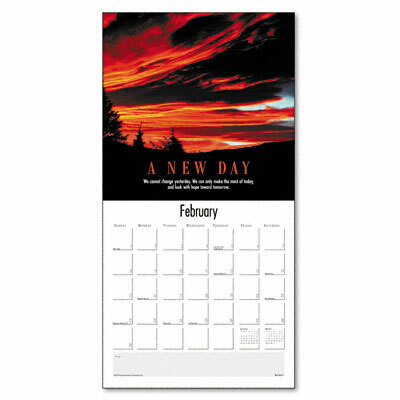 An inspiring quote and full-color photo introduces each month. Opens to 24" to display photo page above calendar page. Freestyle section for jotting down notes. An inspiring quote and full-color photo introduces each month. Opens to 24" to display photo page above calendar page. Freestyle section for jotting down notes.